This is a new casting call for my ongoing Smash Bros. machinima series, Smash King. Or rather its spinoff, Smash King HD, where everything takes place in the world of the recently released Super Smash Bros. 4. The mysterious mistress that travels the cosmos aboard her Comet Observatory and also the owner of the Rainbow Road Amusement Park. She exudes proper, motherly behavior for her Luma companions and provides fun for the children and couples she watched from afar. She had only recently chose to walk the lower earth to befriend her fellow womenfolk, but she's yet to overcome her general shyness and inability to maintain composure during the more awkward and indecent of subject matter. Despite this, she preferes to take a neutral outlook of situations, preferring no one and nothing over the other. 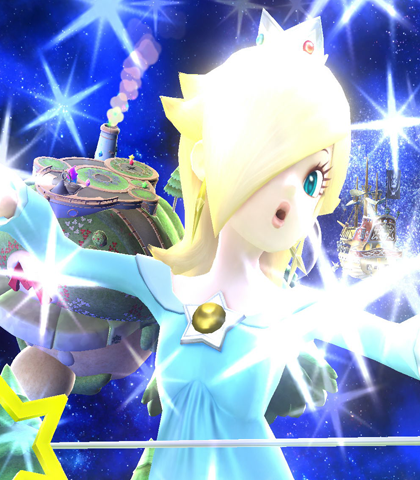 As for Rosalina's voice, something similar to how she sounds in the various Mario games she has appeared in will be fine (Video references: Mario Kart Wii, Mario Kart 7). Just be able to emote along with her during her more excited and embarrassed moments. (Concerned) Oh, my apologies! I was simply... admiring the amount of children you have. *gasp* (Flustered) Oh dear, what has come over me?! I deeply apologize! When you find your true 'Special One,' you are always welcome to come back here again. I would be honored if you come to the 'Gateway Galaxy' to exchange your vows. (Warmly) Oh, please do stop by when you have the chance. The Lumas adore the company. 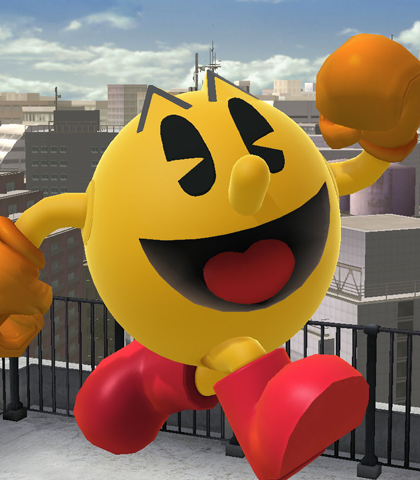 There's not a particular style of voice I'm looking for, but Pacman should sound perpetually happy and joyous about every little thing without a care in the world. His default "inside voice" is medium pitched, but be prepared to either raise your pitch or lower it whenever the situation calls for it. And as a rule of thumb, you must be prepared to sound like a completely crazy and unhinged nutcase; feel free to exaggerate whenever the character is ridiculously hype or he's making a huge deal out of some minor crisis. Hey there, everybody! How's your day been? I bet it's been smmmmmmmmmmmmashing~~! Oh! I know just how you feel. You see, I'm married too. After we secured the entanglement, she was ALL I wanted to talk about! So, let it all out, Big Guy. I... am LISTENING. *clears throat* J-Just keep it all family-friendly, hmmm? (cheerful) *squee* It feels so GOOD to help! *gasp* (horrified) OH NO! That chimp has bananas! Someone could slip and fall! CATCH THAT LITTERBUUUUUUUUUUUG!!! 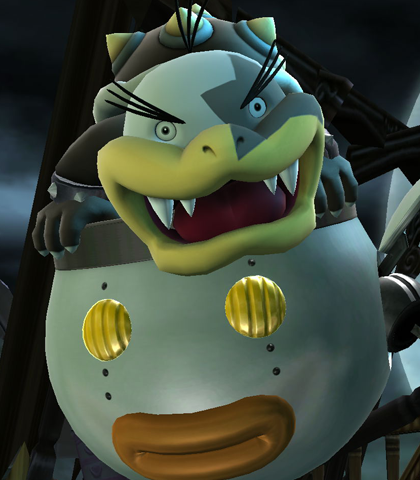 One of the Koopaling children found and adopted by Bowser and Liz. He's the self-proclaimed cool on with a desire to laze about, woop and holler, and participate in "cool things." He's usually never above pranks though, banding together with Morton and Larry to ruin somebody's dat. He's also got an eye for beauty or at least someone who "reminds him of his 'Mommy Dearest.'" 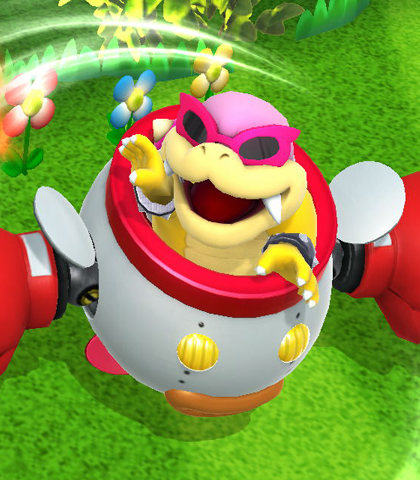 For Roy Koopa's voice, I'm looking for a baritone, jazzy kind of voice. The character typically talks smooth and suave, so anything to that effect will work for him. Man, can I, like, not be bothered by this right now? The future's lookin' bright, and I'm wearing shades! Another of the Koopalings and sure enough the biggest of the eight. He's bullheaded and foul-mouthed, tending to go off on an incessant tangent until one of his siblings, usually Roy, tells him to shut up. However brash and eager for violent behavior he is, he can come off as very slow and dopey whenever he points out the obvious or when he gets easily outwitted by the simplest tricks. Like Roy, Morton also has a soft spot for his "Mommy Dearest," the two usually fighting for Liz's attention. Morton's voice should sound fairly deep, as bass as possible. Also, despite his low intelligence, I don't want him to sound stereotypically retarded or anything like that. Speak normally, only picking up the pace during his excited, motor-mouth moments (his first line). (Cocky) I'm big, I'm bad, I'm beefy, and big-boned! That's the four B's that describe me! I'm also beautiful, the best, and bonifide bulk! That's four more B's. I'm also buff, burly, and blessed with a brimmin' booty I use to bruise those broken backbiters! I'm all sorts of B's, you see. (Shocked) Wow... new mommy can fly! Those were wings?! I'll be mommy's boy for tonight... and EVERY night. You'll be mommy's boy NEVER.